• ALL RAMP PASSES will expire on January 17th so if you have free sessions left you should use them as soon as possible. and all other team riders that aren't from Illinois. • AS FOR EVERYONE ELSE its $3. 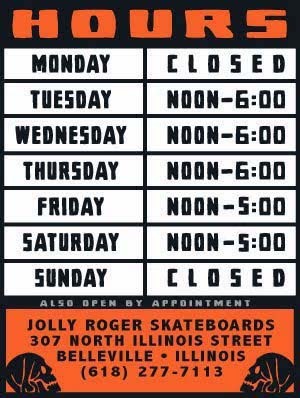 to skate or you can get a free session with any deck, truck, wheel or bearing purchase (the day you make the purchase).